Please call us at (618) 659-9840 to place your order. *Shipping is available within the continental US. Choose from some of our most POPular flavor combinations or mix and match with your very own favorites to fill our tins, available in 3 different sizes. 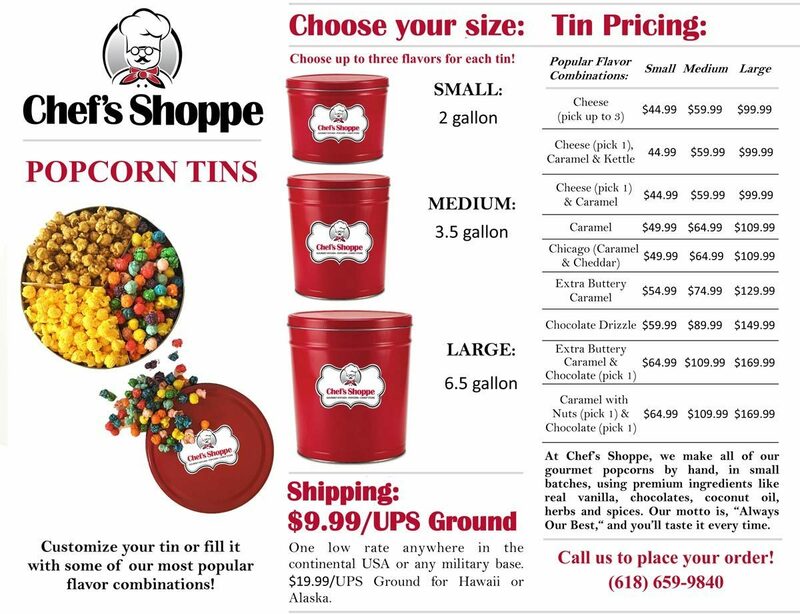 Chef’s Shoppe Popcorn Tins make great gifts for clients, friends and family!